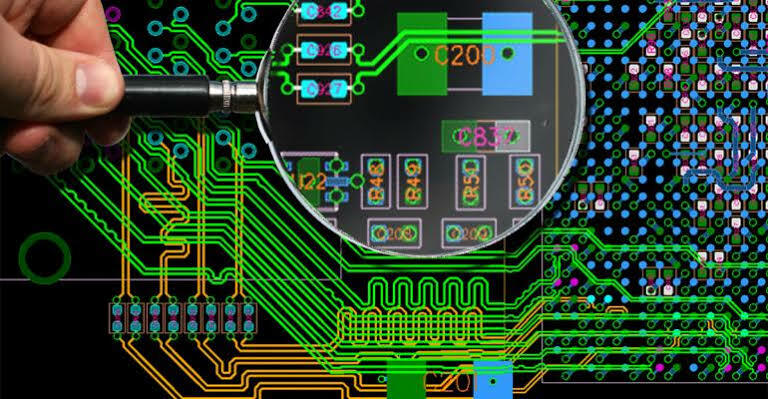 Printed circuit boards have a lot of different uses, within a variety of sectors. This is an interesting piece of technology and in this article, we’ll be telling you what you need to know about designing a PCB for yourself. The project that you have to hand might be a tricky one and require you to take steps to make a bespoke PCB. Sizing and function can be hard to find within a premade circuit board, so you may find it more suitable to create your own. For example, if you’re working with a design that will be housed in a smaller or more awkward space, you might not find anything that fits on the market. Remember to take into account some of the finer aspects too, as these can often go unnoticed. This includes the likes of impedance controlled routing, which can drastically impact your final product. Reflections, ringing, and overshoot can occur when this is not properly planned for within the design. Analysis of the board prior to printing can flag up issues with the transmission of these signals. There are loads of packages out there that allow you to create a PCB design, but bear in mind not all are created equal. Some have more features than others, which will allow you to progress through the process much faster. Access to a library of components, for example, can do a lot of the hard work for you. Being able to pull these into your design in a speedy way can make your design more accurate and also save you time too. The kind of imaging possible with these tools will also vary, as some will allow you to run simulated tests too. These will give you the option to look for any errors within the design, before you move onto the manufacturing stage. This can save you a lot of money in reprinting should there be an element of the design that is poor. While these packages may cost more, you can take this into account over your whole manufacturing budget. The best designs are improved as time goes on, rather than allowing the process to be stagnant. If you want to create a PCB that is just right for the job, you might not get this the first time around. Errors and faults can happen, no matter how thorough you are at the design stage. There may also be small improvements that aren’t mission critical but will affect the way the product performs and its success in the long run. This is something that you want to continuously work on if you aim to mass produce your product. Before you dive in with a big batch, you want to get the feedback that you need to improve it. Now that you know all about creating these PCBs, you can go ahead and get started on a project of your own.